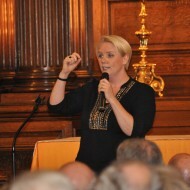 Julia Streets is an entrepreneur, host, speaker, broadcaster and stand up comedian. 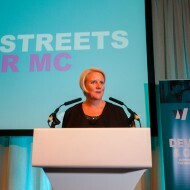 As an entrepreneur, Julia is the Founder and CEO of Streets Consulting, the business development, marketing and communications consultancy working with clients – from early stage startups to some of the world’s largest organisations. She has enjoyed a 25+ year career in financial services and previously held senior executive positions at the stock exchange group NYSE Euronext and the international brokerage firm, Instinet. 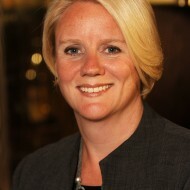 Julia was been named one of Brummell Magazine’s 30 Inspirational Women on Boards. The same City publication named her one of their 30 Inspirational Women Entrepreneurs and 30 Women of Influence. She is regularly named one of the 30 Power Women in Fintech by Innovate Finance and this year has been shortlisted as Fintech Champion in the Women in Finance awards. 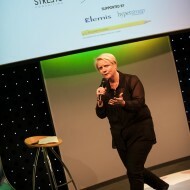 Julia is regularly booked as a host, chair or keynote speaker at industry conferences around the world. She is an evangelist and commentator on innovation and change, particularly in the world of financial services & technology and is called upon to talk about diversity and inclusion. 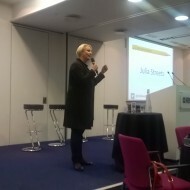 Julia has been featured on radio, TV and in the national and regional press, and is the host and executive producer of DiverCity Podcast, exploring the subject of diversity and inclusion in financial services. 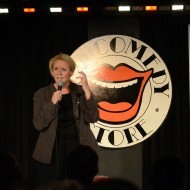 Comfortable on large stages, Julia has been invited to host royal, charity and industry gala dinners and awards, drawing on a mass of her own comedy material observing corporate behaviour. 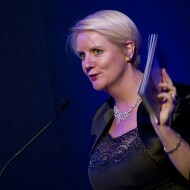 Julia is called upon by corporates for after-dinner speaking, closing conferences, hosting awards dinners and auctioneering. 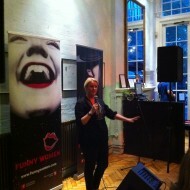 Having started writing comedy in 2008, Julia writes all her own material including stand up and songs. 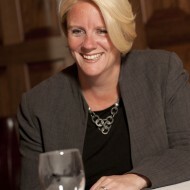 Julia covers topics such as corporate jargon, management and business communication & behaviours. 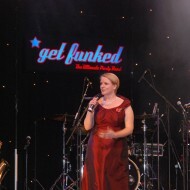 Featured on BBC Radio 4’s Today Programme, Julia is also a regular guest on BBC Radio Kent’s Drivetime show. 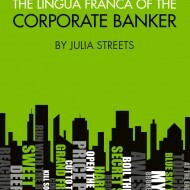 Julia’s book, “The Lingua Franca of the Corporate Banker” offers a seriously light-hearted view on corporate language. Julia’s monthly column in FM magazine lightly lampoons a wide variety of corporate topics and behaviours. 18-19 September – Julia will be hosting a panel session at the Women in Payments Conference, Toronto. 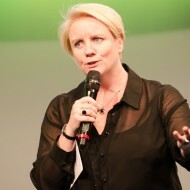 11-13 September – Julia will be hosting a Dragons’ Den session and will be part of the keynote Diversity session at TradeTech FX Europe, Barcelona. 24 – 27 – Julia will be participating in Fund Forum International, Copenhagen. 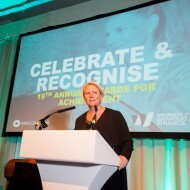 14 June – Julia will be hosting the Women in Banking and Finance Awards, London. 12-13 – Julia will be moderating a session at the Network Forum Annual Meeting, Athens. 25 April – Julia will be moderating the panel : Who are the Fintech disruptors of tomorrow and how are they transforming financial trading? at TradeTech Europe, Paris.